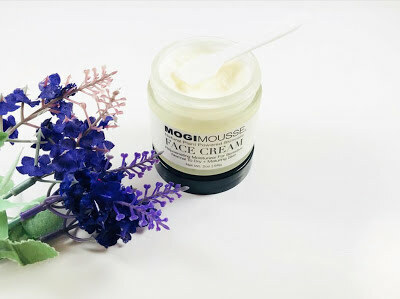 "I have been using this beautiful Face Cream for two weeks and I love it. My skin does not breakout. 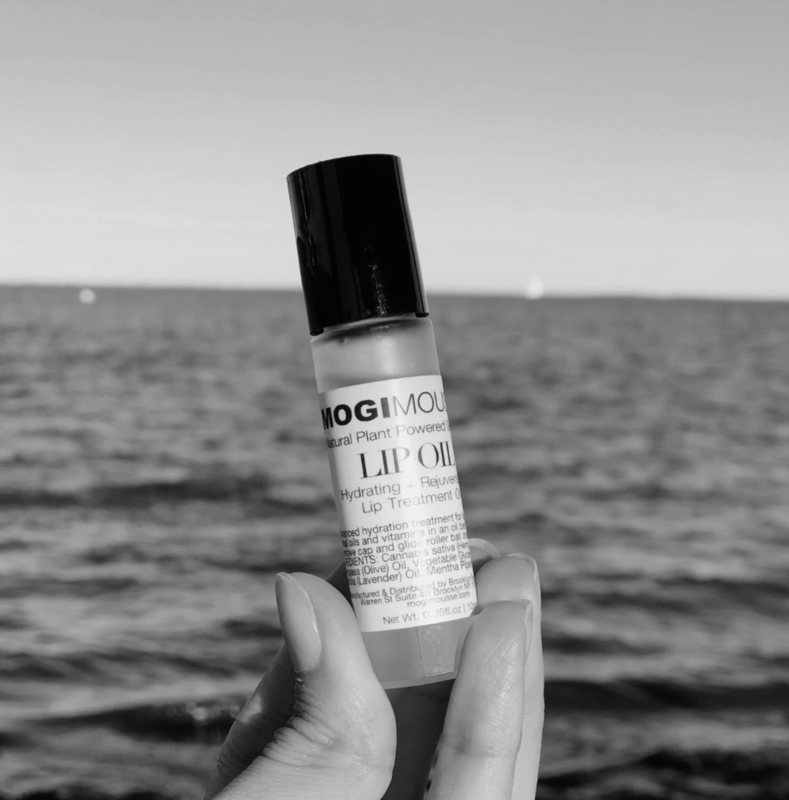 A little bit goes along way, and it is very moisturizing, perfect for dry skin and normal to dry skin. It melts in your hands and then apply. My husband uses it as well: "I use it mostly for my beard. My face is not very dry so in only use a little bit for my face that way is not too greasy. But for my beard it works very good. I feel it relaxes my beard. It smells pretty good and the scent is not overwhelming. The scent is lavender so relaxing. I use the little spatula that came with it. It is actually easy to apply, even though is solid cream. I also use it for other parts of my body and works great. I have no complaints." 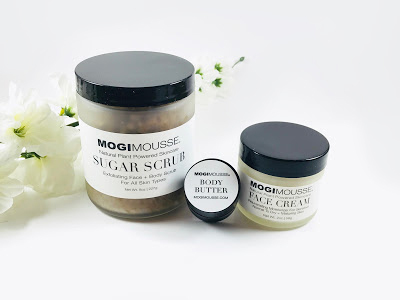 "MOGI MOUSSE Sugar Scrub exfoliates, gently polishes and conditions your skin. 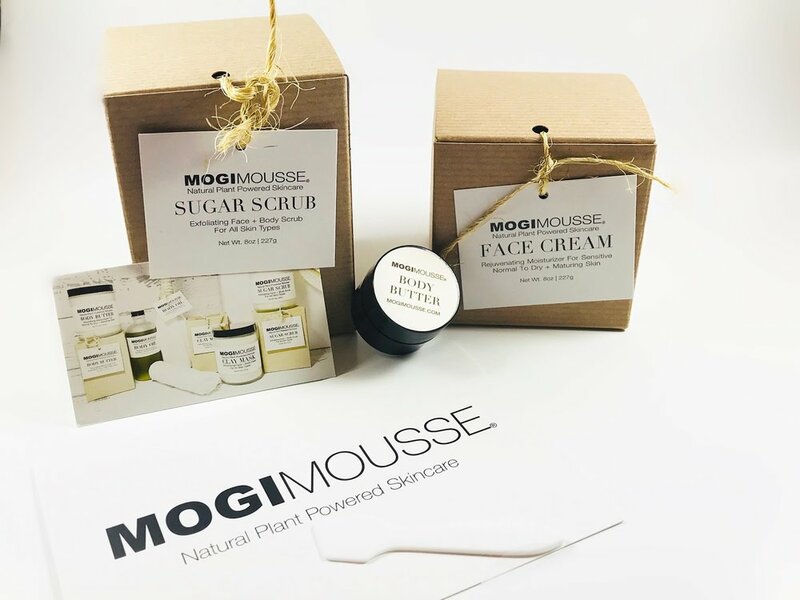 It removes dead skin cells and it left my skin feeling and looking clean, soft and with a radiant complexion. It did not irritate my skin at all and it hydrated my skin too. It melts on my skin. Sugar Scrub for face and body is an all natural, vegan, and cruelty-free product. 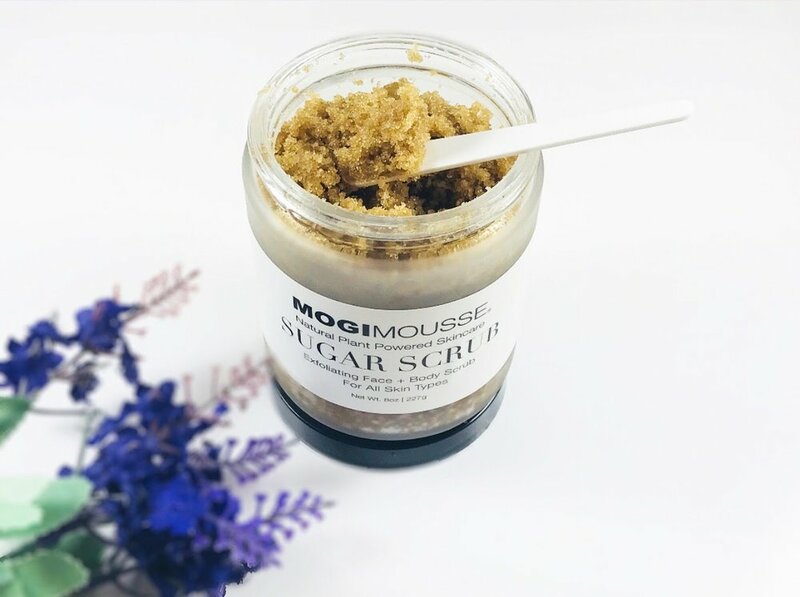 MOGI MOUSSE Sugar Scrub is made with raw organic brown sugar, Himalayan pink salt, coconut and almond Oil. It exfoliates, gently polishes and conditions your skin, removes dead skin cells, whiteheads, blackheads, excess sebum from the pores, leaving your skin feeling and looking clean, soft and with a radiant complexion."